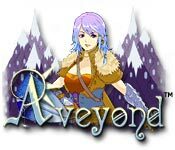 New this week: We've combined the best from the web to give you a comprehensive guide to the not-so-casual game Aveyond. This game has a lot of depth - check it out and then come back here when you get stuck. Fight monsters and explore a medieval world. Aveyond is packed with more than 60 quests, tons of places to explore, and over 50 hours of game play. In addition to a great story, this award-winning game is packed with additional great features. Chase monsters around in real-time, and fight them in turn-based battles. Explore dozens of non-linear quests, marry off your characters, buy a mansion, pets, and more!